● Dear Mr. Pashev, what is your main activity and which are the foreign companies you represent? "Pashev Brothers" Ltd. was established in 2000 as trading and consulting company, including business representation and mediation for Bulgarian and foreign companies in the field of printing and production of flexible packaging in Bulgaria and Europe. We present many world famous companies on the Bulgarian market: Arcolor; Rotoflex; Brückner Maschinenbau; Labor Save; Morchem; Praxair; Polywest; EUKALIN; SWG; Swedev; Hudson Sharp, BPI Flexo, Münster Electronics; Vetaphone and others. ● Tell us about your new / recently realized projects. In Bulgaria “Pashev Brothers” Ltd. has realized 3 projects for plants producing BOPP films with a width of 4.2 m, 6.6 m and 8.2 m for the company Brückner Maschinenbau, Germany. During the last couple of years, the company has been directing its efforts towards recycling. While mainly working with leading companies, we offer equipment for the processing of different types of waste. In accordance with its politics and concepts, the company is planning to organize open days in February 2015 in the field of recycling and efficient use of various types of "waste" - written in quotation marks, because it is a real raw material, which at some point becomes useless as a package, however, can be reused again as a raw material after being processed. The main goal is for Bulgarian companies from the industry to exchange information with technicians and specialists from leading European companies. As a result, each company will be able to assess and determine its new investment plans, including the opportunity to participate in the realization of upcoming European programmes. ● What are the goals of your participation in ‘Save the Planet’ and what are you going to present on the Exhibition? 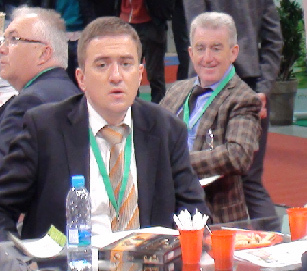 The main objective of "Pashev Brothers" Ltd. is to present the latest developments, such as Know How, technology, machines and equipment to the Bulgarian market. Through its European partners, the company aims to create a better understanding of the efficient processing and utilization of various types of waste for the Bulgarian companies and therefore, to guarantee the success of their future investments. 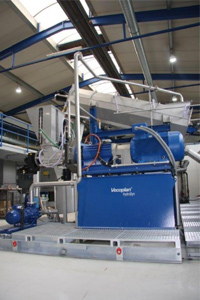 - The newest innovation Vecoplan HydroDyn for high-grade and economic plastic recycling – a high performance independent washing system in the processing of different types of plastics. - Vecoplan complex project for the production of modified fuel RDF (refuse-derived fuel) - the first realized project of VECOPLAN in 2014 with a total capacity of 14,000 kg per hour. - Nordson /Kreyenborg/ - machines and equipment - critical components in the processing of different types of plastic waste.